Candles are probably my favourite luxury in life. I’m not that person who ever gets their nails/hair/eyebrows etc done, I don’t really buy a lot of clothes nowadays and I don’t go out drinking, like, ever. So I feel like the one thing I love to spend my money on is candles. There is just something about a beautifully scented candle burning away in my home that makes me so happy. I have always wanted to try these candles but always thought they were a little pricey as their main product (and the only one I knew about) was their jewellery candle priced at £38.50, where each candle contains a piece of their exclusive and gorgeous jewellery. I was browsing on their website and found out that they do mini candles without the jewellery in it. These ones are priced very fairly at £6.50 each. So I decided to treat myself! These high quality mini candles are 9cl, and are 6.5cm tall by 5cm wide. They have a burn time of approx 30 hours and are made from 100% natural plant wax. They are free from petroleum based parrafin wax, animal wax and beeswax. They are also not tested on animals. The burn is really clean which is really nice. There’s nothing worse than a smoky candle! As you can see from the photos, the packaging is really classy and clean looking. These would make an absolutely wonderful Christmas gift for any lady in your life. I think everyone can appreciate a good candle! I am so impressed with these candles that once mine is finished I will absolutely be purchasing another. The only thing I would say is that I wish they made a bigger version of the candle without the jewellery in it. I appreciate how special that candle would be, but I think that it might not be the sort of thing one would repurchase (especially for yourself) as you may not need or want another piece of jewellery. You might want just the candle. 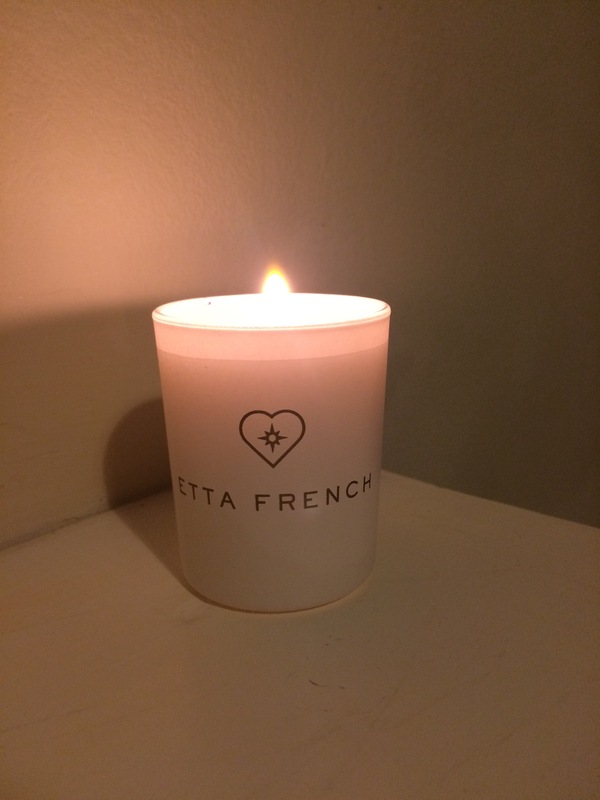 In all I would highly recommend you check out Etta French’s candles. I personally recommend the pomegranate & mint, but they all smell amazing. I know that my nan loved the rose, saffron and vetiver one, and my mum loved the violet and sweetpea scent too! Again, click here to visit Etta French’s website. P.s. Have you liked my Facebook page yet? Take a look here!